Because AALL recognizes the need for a coordinated fundraising effort, the Executive Board has delegated the following responsibilities to the executive director. All solicitations for funds for all purposes must be coordinated by the executive director before potential donors are contacted. The executive director will take into account in coordinating such activities the potential for a major donation from the vendor which might be compromised by a solicitation for a less significant amount. At each Annual Meeting, AALL entities plan and host their own social events and other activities that may be fully sponsored or partially supported by an exhibitor, chapter or a member's institution. 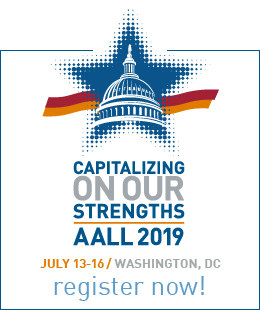 Sponsorship of an AALL event at the Annual Meeting is available exclusively to exhibitors, chapters, and members and their institutions. 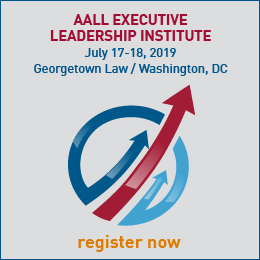 AALL entities retain full responsibility for the format and content of these events and activities, whether or not there will be speakers, and the selection of menus and invitees. When there is support from an exhibitor, a chapter or a member's institution, AALL entities retain responsibility and authority for the event, and they work closely with the supporter to ensure appropriate recognition. In addition to activities planned and hosted by AALL entities, some affiliates and exhibitors may choose to host their own social events, such as receptions, dinners, and other activities. These are not under AALL's auspices and thus are not considered AALL sponsorships.